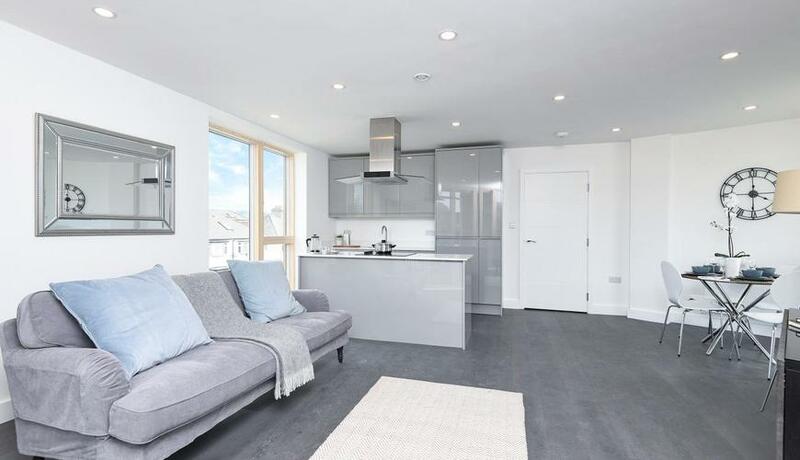 Just three flats are now remaining with Help To Buy Available at this brand new development of one and two bedroom apartments conveniently located within half a mile of Norbury station which serves Victoria (20 mins) and London Bridge (32 mins). All apartments have a balcony and the use of a communal roof terrace. The high specification includes kitchens with appliances, fully tiled bathrooms with white suites, wardrobes to master bedrooms, double glazed windows and a video entry phone system. The living rooms and hallways have engineered timber flooring and the bedrooms are fitted with carpets. There is also a lift to all floors.The nearby large expanse of Streatham Common includes areas of woodland and meadow and offers spectacular views over London. It has also been designated a local nature reserve. Within the common is The Rookery, a formal ornamental garden on the site of one of Streatham's wells, which plays host to outdoor theatre in the summer. Streatham has a newly built bus station and interchange. The area is extremely well served by bus with routes to many destinations, including the 50 to Croydon, 109 and 250 to Brixton, 333 to Elephant & Castle and the 133 to Liverpool Street.